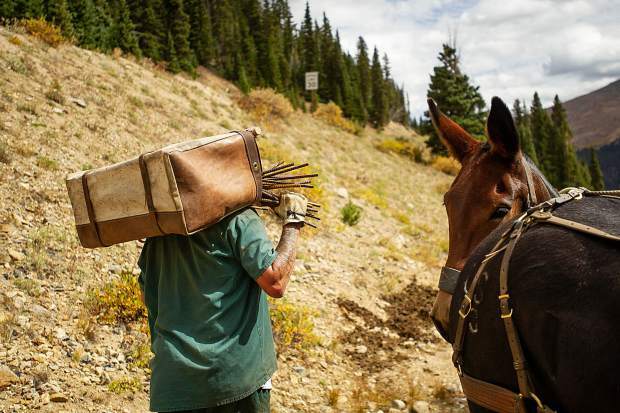 A Buena Vista Correctional Facilty inmate carries a pannier of rebar that fell off of a mule from the packline from Mountain Boy Basin on Independence Pass on Sept. 19 from a snowfence installed in the early 1960s for an Independence Pass Foundation project. Throughout three-and-a-half days this summer, the pack string, inmates and IPF crew collectively removed more than 6.5 tons of rebar and metal cable out of Mountain Boy Basin. 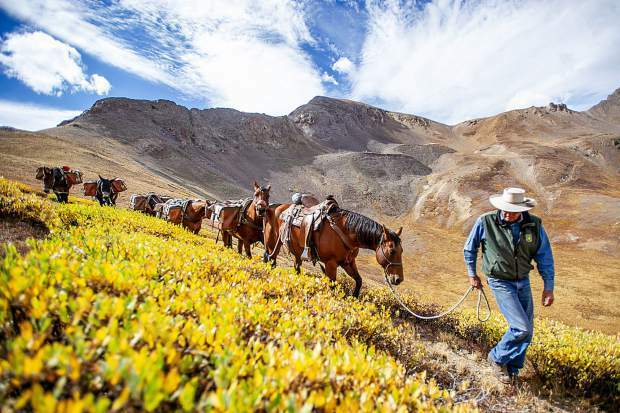 U.S. Forest Service "lead packer" Glenn Ryan takes his line of horses and mules down with a load of rebar on Mountain Boy Basin on Independence Pass on Sept. 19 from a snowfence installed in the early 1960s for an Independence Pass Foundation project. Throughout three-and-a-half days this summer, the pack string, inmates and IPF crew collectively removed more than 6.5 tons of rebar and metal cable out of Mountain Boy Basin. 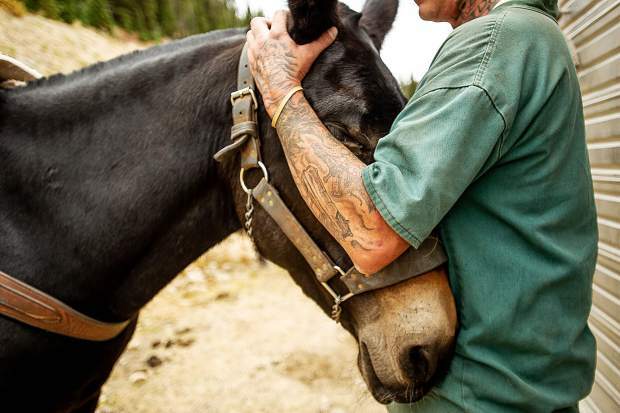 A Buena Vista Correctional Facility inmate snuggles with Karla the mule from the pack line after taking a trip up to Mountain Boy Basin on Independence Pass on Sept. 19 and removed rebar from a snowfence installed in the early 1960s for an Independence Pass Foundation project. 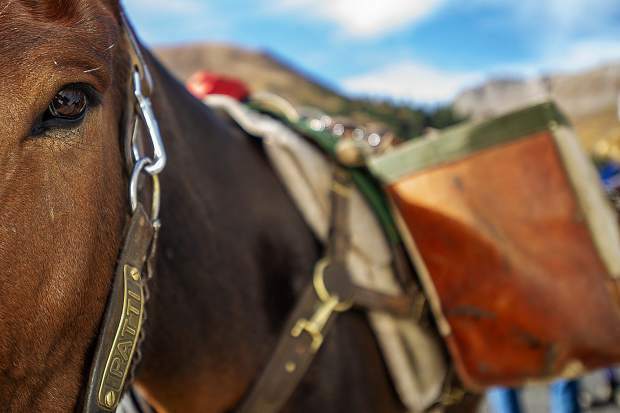 A Buena Vista Correctional Facility inmate smiles when he feeds Karla the mule on the pack line on top of Mountain Boy Basin on Independence Pass on Sept. 19. 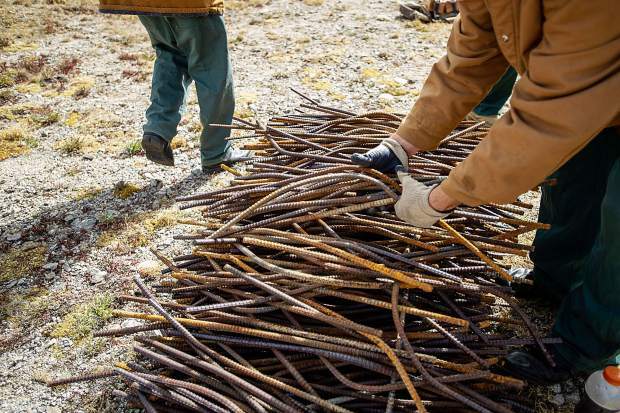 The inmates were brought in to remove rebar from a snowfence installed in the early 1960s for an Independence Pass Foundation project. 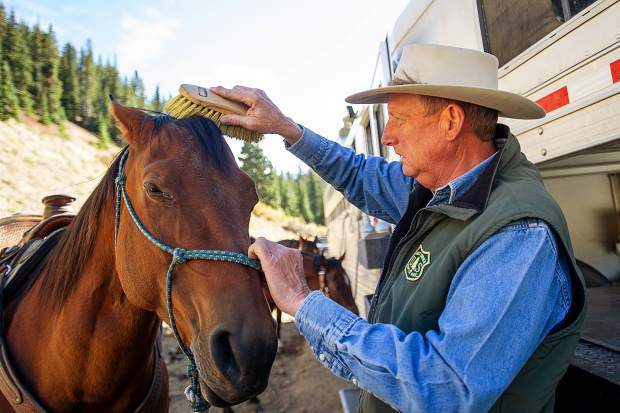 U.S. Forest Service "lead packer" Glenn Ryan brushes his horse before taking his line of mules and horses up Mountain Boy Basin on Independence Pass on Sept. 19 to remove rebar from a snowfence installed in the early 1960s for an Independence Pass Foundation project. Throughout three-and-a-half days this summer, the pack string, inmates and IPF crew collectively removed more than 6.5 tons of rebar and metal cable out of Mountain Boy Basin. 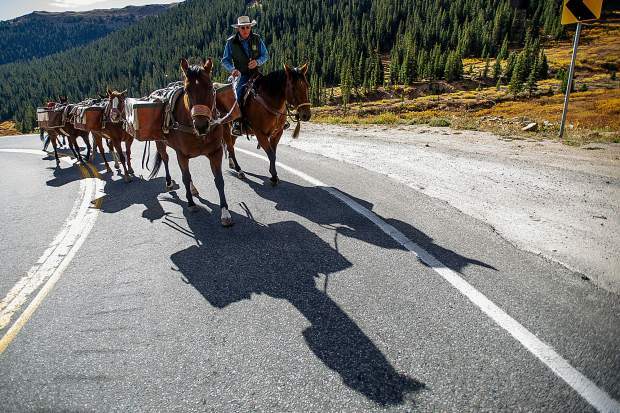 U.S. Forest Service "lead packer" Glenn Ryan takes his line of horses and mules up to Mountain Boy Basin on Independence Pass on Sept. 19 to remove rebar from a snowfence installed in the early 1960s for an Independence Pass Foundation project. Throughout three-and-a-half days this summer, the pack string, inmates and IPF crew collectively removed more than 6.5 tons of rebar and metal cable out of Mountain Boy Basin. 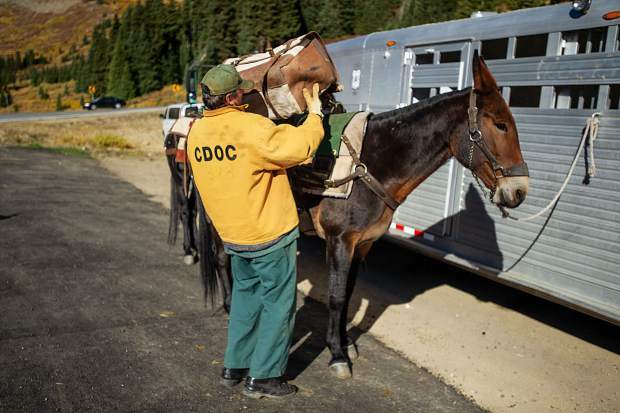 A Buena Vista Correctional Facility inmate gently pets a horse before prepping the pack line to head up to Mountain Boy Basin on Independence Pass on Sept. 19 to remove rebar from a snowfence installed in the early 1960s for an Independence Pass Foundation project. 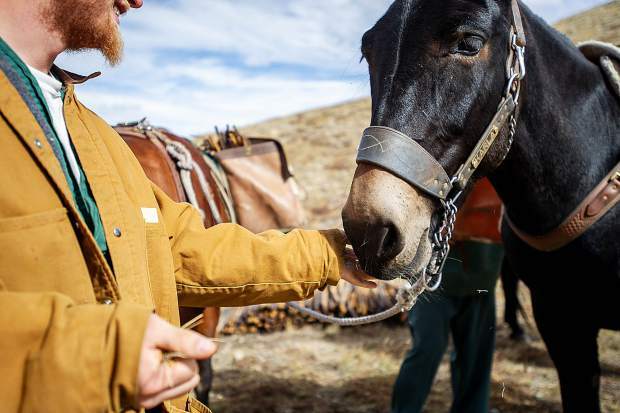 A Buena Vista Correctional Facility inmate preps Patti the mule for the U.S. Forest Service before heading up to Mountain Boy Basin on Independence Pass on Sept. 19 to remove rebar from a snowfence installed in the early 1960s for an Independence Pass Foundation project. Independence Pass Foundation executive director Karin Teague kisses Patti the mule while U.S. Forest Service "lead packer" Glenn Ryan preps her before taking his line of mules and horses up Mountain Boy Basin on Independence Pass on Sept. 19 to remove rebar from a snowfence installed in the early 1960s for an Independence Pass Foundation project. Throughout three-and-a-half days this summer, the pack string, inmates and IPF crew collectively removed more than 6.5 tons of rebar and metal cable out of Mountain Boy Basin. 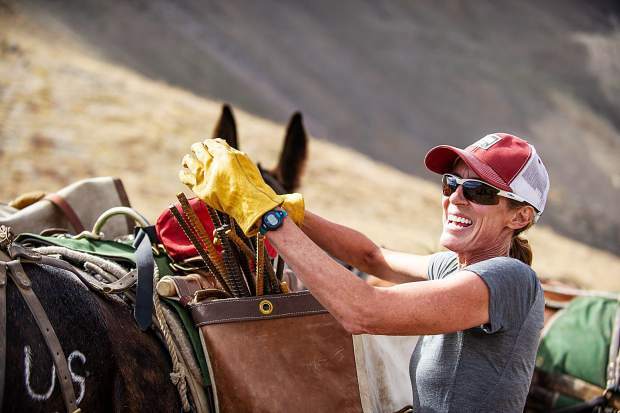 Patti the U.S. Forest Service mule before heading up to Mountain Boy Basin on Independence Pass on Sept. 19 to remove rebar from a snowfence installed in the early 1960s. Buena Vista Correctional Facility inmates separate rebar from a snowfence on Mountain Boy Basin on Independence Pass into 60 pound piles for the mule and horse packline to carry down on Sept. 19. 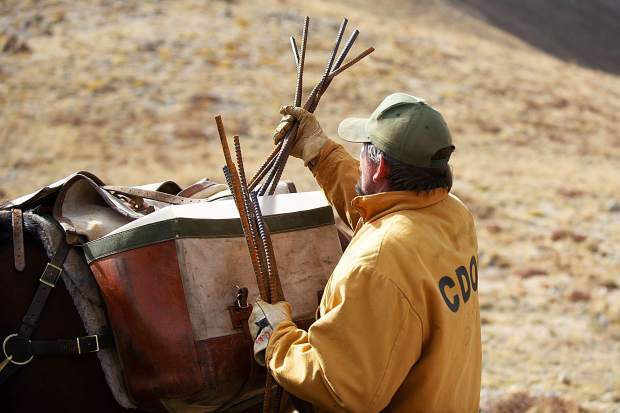 A Buena Vista Correctional Facility inmate loads a pannier on a mule for the U.S. Forest Service on Mountain Boy Basin on Independence Pass on Sept. 19 to remove rebar from a snowfence installed in the early 1960s for an Independence Pass Foundation project. The inmates divided the rebar into piles so 60 pounds was on each side of the horses and mules. 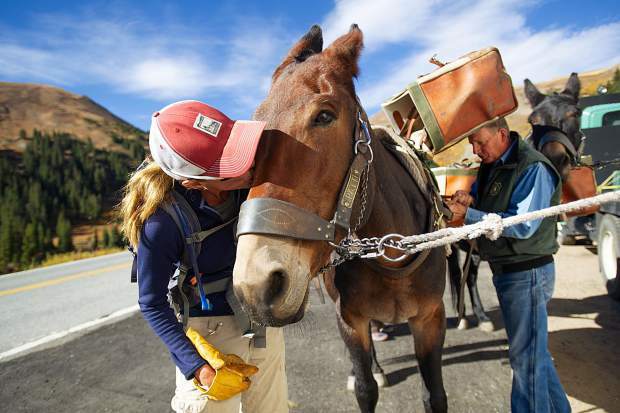 Independence Pass Foundation executive director Karin Teague loads a pannier on a mule for the U.S. Forest Service on Mountain Boy Basin on Independence Pass on Sept. 19 to remove rebar from a snowfence installed in the early 1960s for an Independence Pass Foundation project. Buena Vista Correctional Facility inmates divided the rebar into piles so 60 pounds was on each side of the horses and mules. U.S. Forest Service "lead packer" Glenn Ryan unloads a pannier of rebar from Mountain Boy Basin on Independence Pass on Sept. 19 from a snowfence installed in the early 1960s for an Independence Pass Foundation project. Throughout three-and-a-half days this summer, the pack string, inmates and IPF crew collectively removed more than 6.5 tons of rebar and metal cable out of Mountain Boy Basin. For more on the Independence Pass Foundation or to volunteer, visit www.independencepass.org. 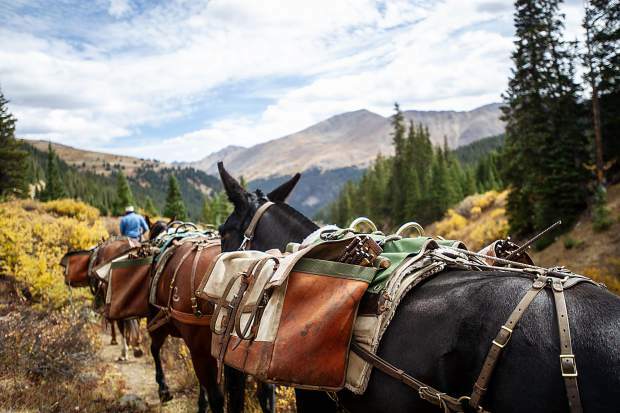 For the first time in more than 50 years, a trip to Mountain Boy Basin will reveal only wild, pristine wilderness, thanks to the massive and diverse efforts of prison inmates, local children and teenagers, recovering addicts and a pack string of horses and mules. Prior to this week, several tons of rusty, old rebar and metal cable littered the otherwise scenic spot on the east side of Independence Pass that is popular among skiers and hikers. 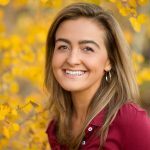 The debris — a result of an abandoned snow fencing experiment in the early 1960s — was unsightly but also a hazard to people and wildlife in the area, Independence Pass Foundation Executive Director Karin Teague said. In the past few weeks, she’s spotted elk, bighorn sheep, deer, moose and mountain goats up on the pass. “(It’s) amazing to me that no one has impaled (himself or herself),” said Teague, who is familiar with the terrain through her work with the foundation and as a local who skis the area. With Teague at the helm and assistance from the U.S. Forest Service, the foundation launched the Mountain Boy initiative three years ago as part of its greater, decades-long mission to clean up the pass. 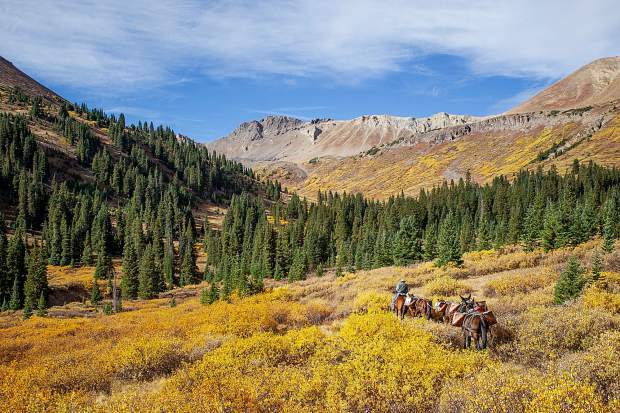 What’s different about the Mountain Boy project, however, is that the site’s wilderness designation forbids the use of vehicles and mechanized equipment. Therefore, the Independence Pass Foundation relied solely on the grit and strength of volunteers and the pack string to haul out the heavy remnants. One is with the Buena Vista Correctional Facility, which sent a crew of eight male inmates and one supervisor to help with the Mountain Boy Basin undertaking. The arrangement is one of the foundation’s more profound and mutually beneficial exchanges, Teague said. 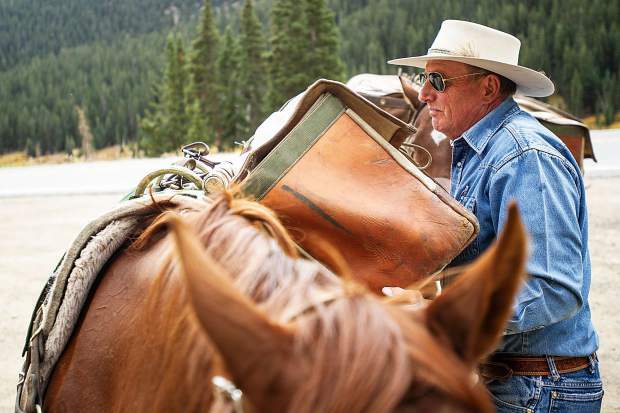 Aside from their distinct skill set, Teague believes the experience — being outside in the fresh alpine air, working with animals, hiking hills, solving problems and lifting objects — does wonders for the inmates’ psyche, morale and sense of accomplishment. “Personally I can’t say enough about the impact … it helps them, for a while, thrive,” she said. At the direction of the Buena Vista Correctional Facility, under the Colorado Department of Corrections, The Aspen Times was not allowed to interview or note commentary from the inmates or photograph their faces. Also per the facility, this story did not publish until the inmates completed their time at the project. 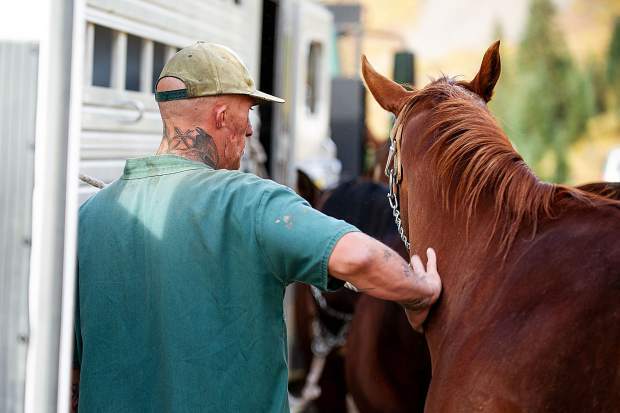 During a work day Sept. 19, the inmates treated the animals with compassion and care, brushing their manes and sneaking them snacks. The men worked diligently and their disposition was upbeat. One crew member has “been really inspired by his work up here,” according to Teague. He has discussed with her his post-prison plans of living off the grid in the southern part of the state. Another inmate, who Teague said “really came to life on this project,” shared with her his hopes of introducing his son to the wilderness after leaving prison. 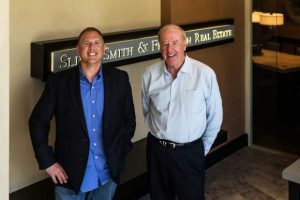 “They are people who can and will be highly contributing members of our community if we give them a chance,” Teague said. 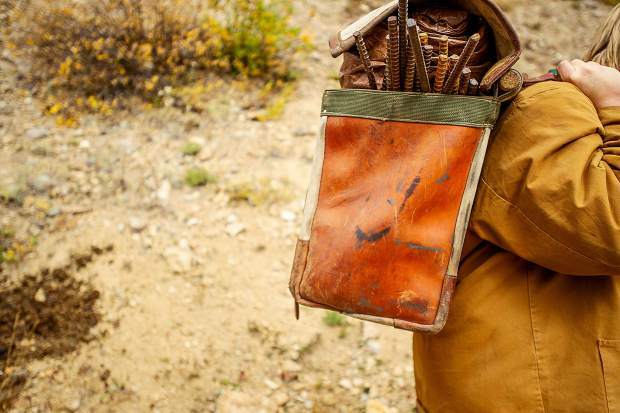 Another valuable asset on the Mountain Boy Basin mission was the U.S. Forest Service Rocky Mountain Regional pack string. 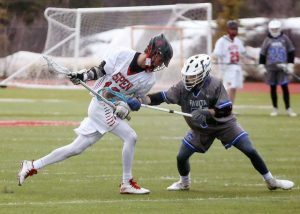 The project, however, marked the pack string’s swan song in the region. Glenn Ryan, a “lead packer” for the Forest Service and member of the Mountain Boy Basin team, said budget cuts and higher-ups are to blame. He said they don’t know what is going on in the field. “I got to admit, I’m a little bitter they’re shutting us down with the massive budget cuts. But we work. We work out in the woods, we do projects like this,” said Ryan, who has been with the service for nearly 30 years. “That’s just all work that’s not going to get done in the woods anymore. It’s a pretty sorry state of affairs that we’ve got going right now,” he added shortly after. Asked if wildfires are a factor in the budget cuts, Ryan said the slash in Forest Service funding “was in the works” before. “We’re just not getting work done out in the field, real work, and that’s what the public wants, is work. … They want to see people out in the field getting work done, like (the inmates) here with us, they’re getting stuff done on public lands,” Ryan said. 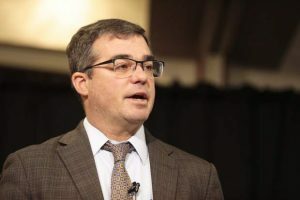 “We’ve got a regional forester, we’ve got deputy regional foresters, we’ve got directors, we’ve got deputy directors, and everybody’s got secretaries and they’re not out in the fields, they don’t know what the heck’s going on. In a day and age where people turn to technology to solve everything, Ryan added, there is irreplaceable value in “good, old-fashioned” hard work. 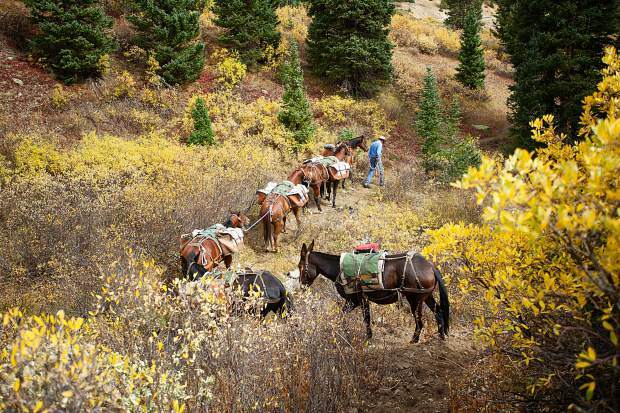 The horses and mules can each haul about 140 pounds, with half distributed on each side. 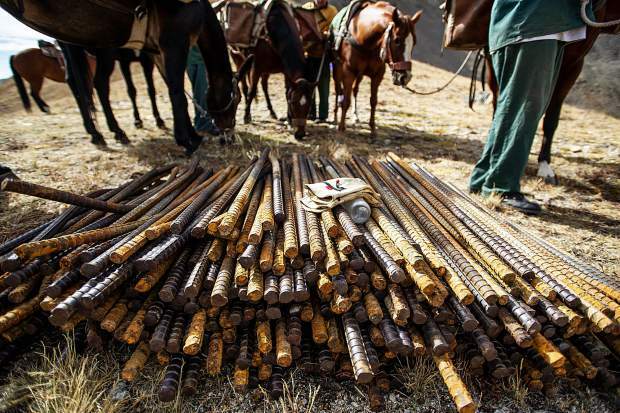 Throughout three-and-a-half days this summer, the pack string, inmates and Independence Pass Foundation crew collectively removed more than 13,000 pounds of rebar and metal cable out of Mountain Boy Basin.